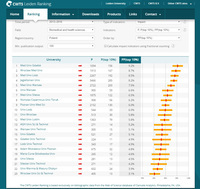 The Medical University of Gdańsk was recorded in CWTS Leiden Ranking 2018. 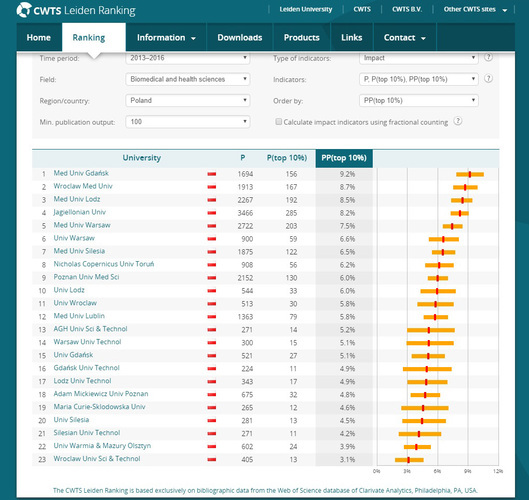 The 2018 ranking edition was prepared on the basis of bibliometric indicators from four years (2013-2016) and covers 938 universities from all over the globe. MUG have very high quality of publications and belongs to the absolute top national leaders universities.